First Steps Nursery in Poole opened its doors in February 2010 for the first time and has rapidly become a part of the local community as a renowned provider of excellent childcare in an equally vibrant setting. Our nursery has the good fortune of being bright and spacious, with lots of indoor and outdoor space for the children we care for to enjoy themselves in a safe environment. 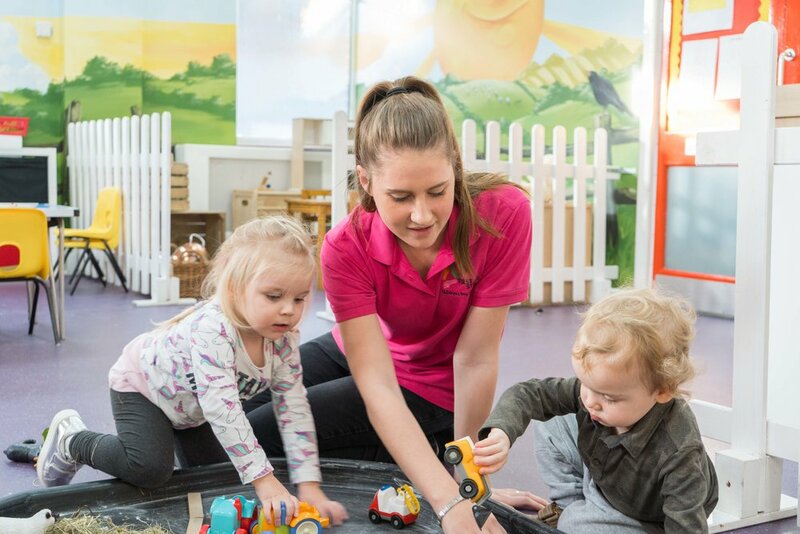 Our Management team of Lauren and Chantelle are on hand to make sure each day goes according to plan and count on many years of childcare experience, along with some of the highest credentials in the childcare training sector to fall back on when the need arises. Our nursery cook ensures that all of the children are given plenty of healthy hot food and snacks throughout the day. During the school holidays we offer a Holiday Pre School for all children of 5 years and under as well as a holiday club for school children over 4 to age 10. You don't have to be an existing customer to use our holiday clubs. Take a look at just some of the facilities we have at our Poole location. Our our of school service is for children up to 10 years of age, and is run from our Oakdale Road nursery which is only 5 minutes from each of our supported schools. Our drop offs are either on foot, or in our nursery vehicle (people carrier). Our holiday club is aimed at children aged 4 to 10 years. Volleyball, Music, Singing, Party Games, Team Building, Shows, Rounder, Arts & Crafts. Hot lunches are available for a small charge, although children are welcome to bring packed lunches. Our day starts at 7.30am and finishes at 6pm. All ingredients sourced in our delicious meals are low in salt, sodium and wherever possible sugar free. All dietary needs are catered for and children with specific requirements or intolerance's are served with appropriate meals and snacks as per parent/guardians instructions. Please talk to us should you have specific dietary requirements for your child. Below are copies of our current menu where you can get an idea of the delicious meals and snacks your child would receive. Each member of our team has been expertly trained, to ensure your child receives the highest quality of care whilst they are with us. Subscribe to our quarterly mailer and get updates on the latest news events from the lovely team at our Poole Nursery.